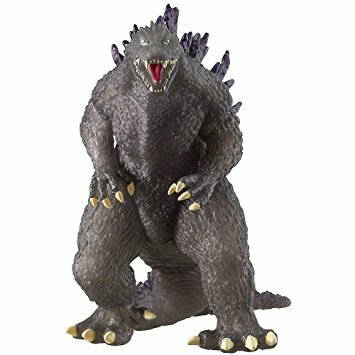 Bandai US released a line of figures under the Bandai Creation name. 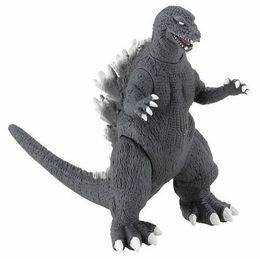 There was multiple different parts to this line, there was six inch figures released from 2002 till 2015, there was twelve inch figures, Fusion series figures, Godzilla 2014 based figures, as well as a few others as part of this line. 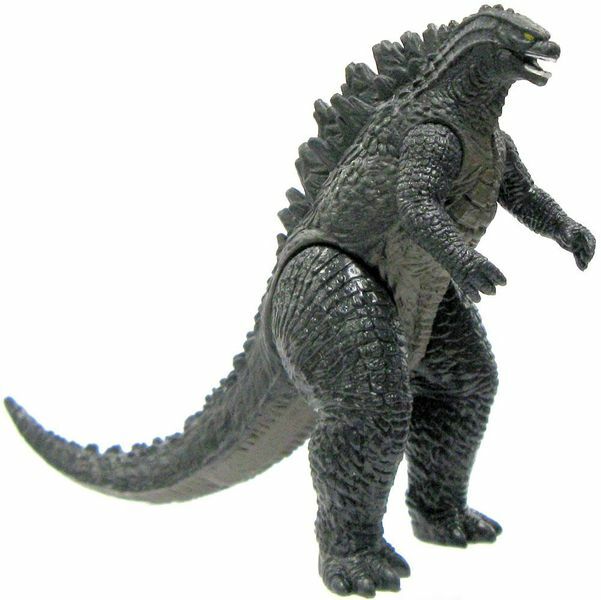 There was similar figures released by Bandai Japan most were different sculpts, also, for the most part, the US figures came in a open front box while the Japanese figures had hang tags. 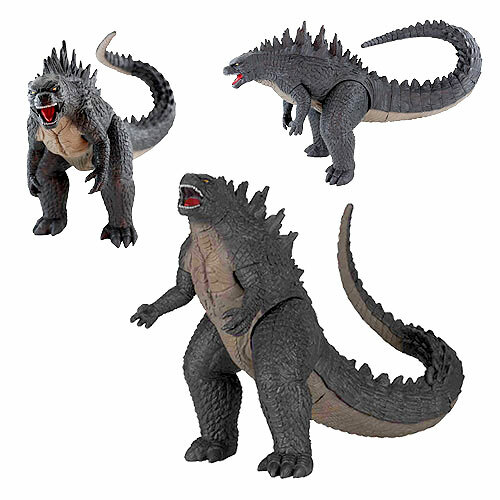 This section only lists the US figures. 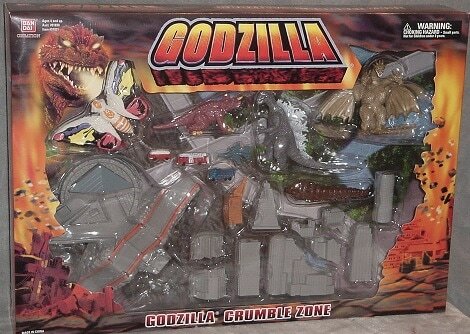 The Crumble Zone play-set consists of five two and a half inch kaiju figures, a diorama sheet & base, seven buildings, three vehicles, and a plane. 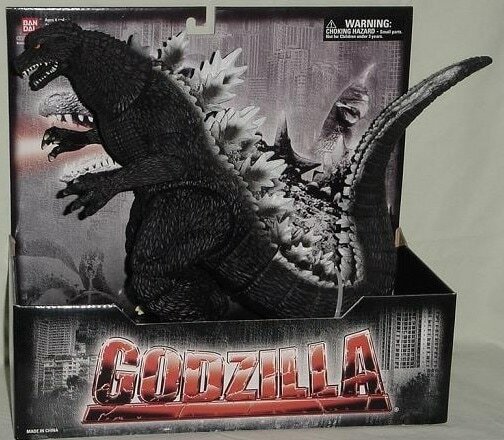 The box has a wide display window showing all the figures and accessories. 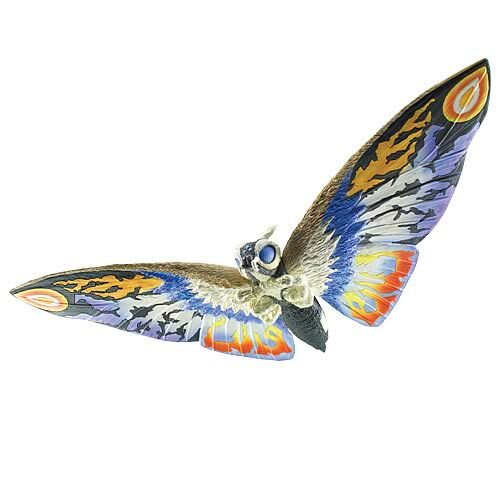 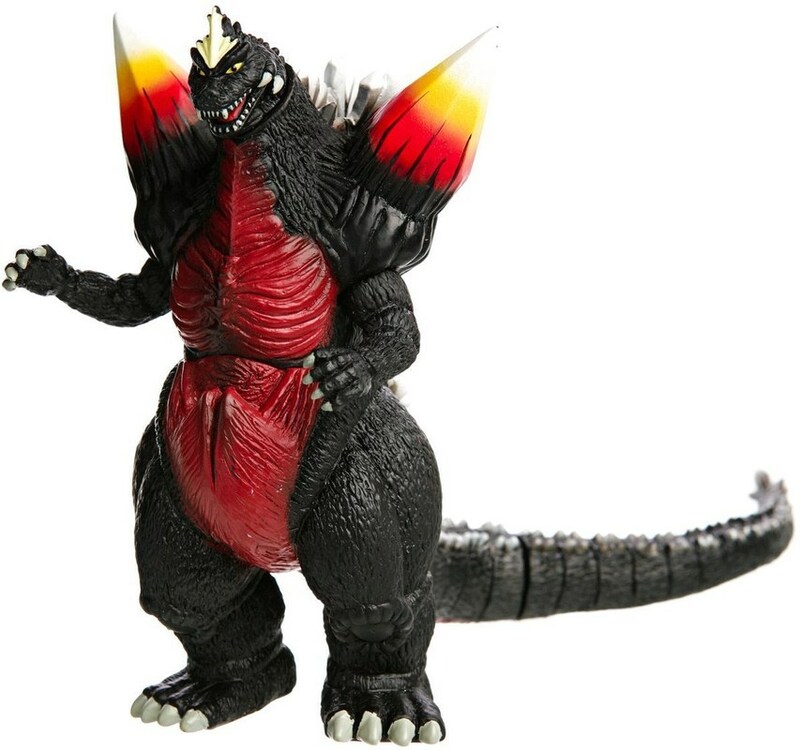 The first wave of Bandai Creation figures consists of Godzilla 1954, Burning Godzilla, Gigan, and Rainbow Mothra. 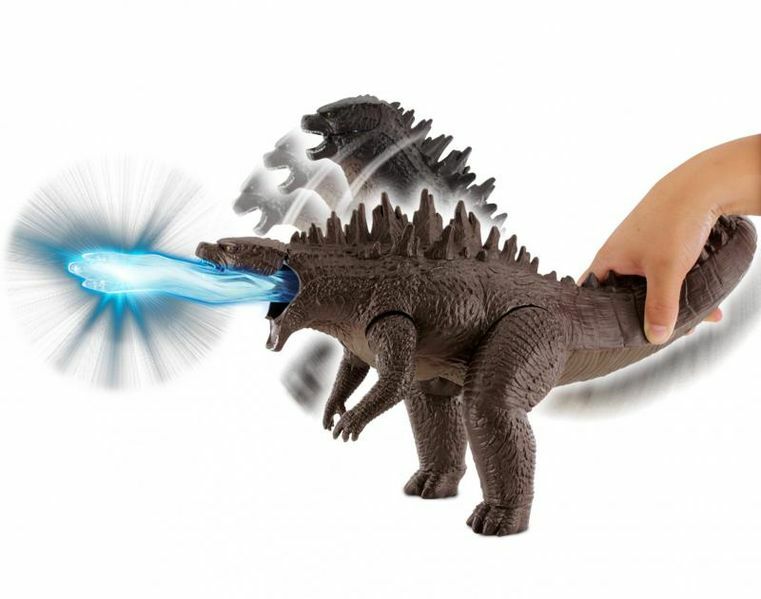 The front of the display box pictures graphic artwork of Godzilla 2000 firing his ray. 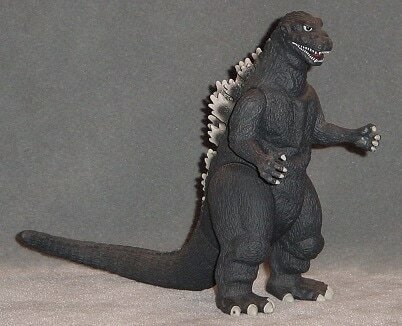 These were released 2002. 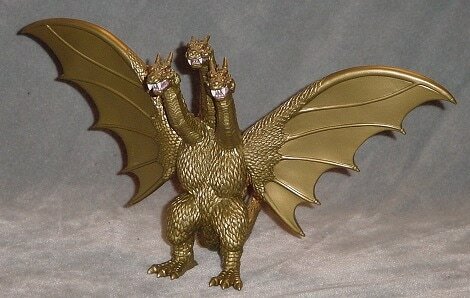 This wave's figures consist of GMK Godzilla 2001, King Ghidorah 2001, SpaceGodzilla and the Heisei Mechagodzilla. 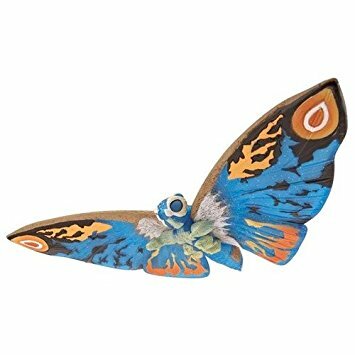 Display box is the same as the first wave. 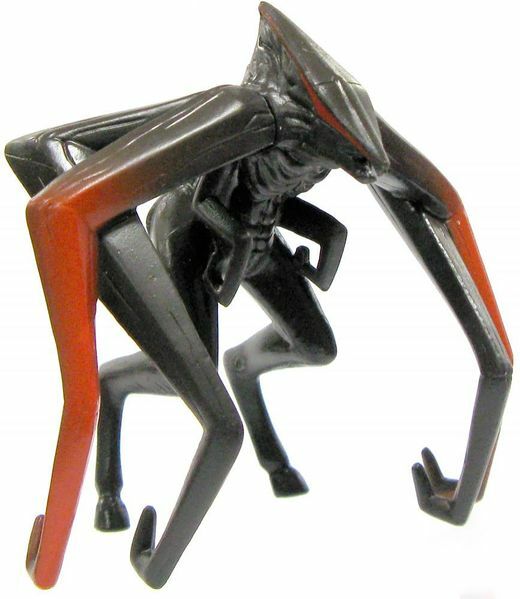 These were released in 2005. 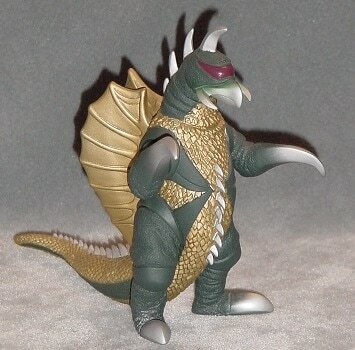 This wave's figures include Final Wars Godzilla, Gigan, Anguirus, and Rodan and was released in 2006. 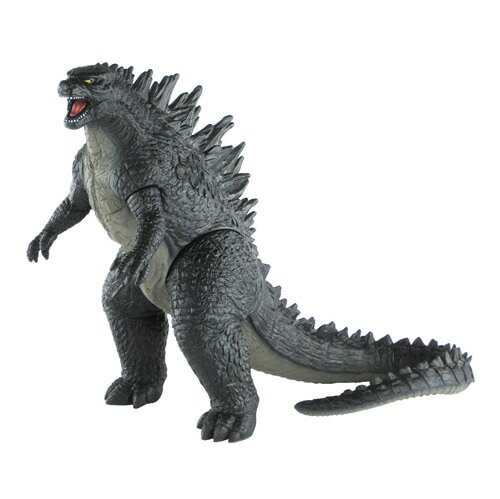 The new set of figures are tied in to the latest Toho film Godzilla: Final Wars. 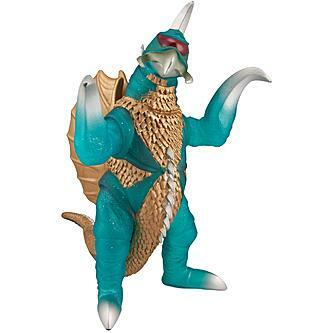 Bandai Creation updated their packaging using an actual picture of the Godzilla 2004 suit with a blue background. 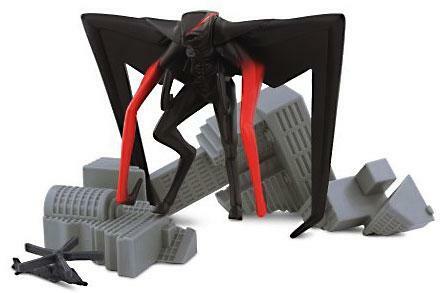 These were released in 2006. 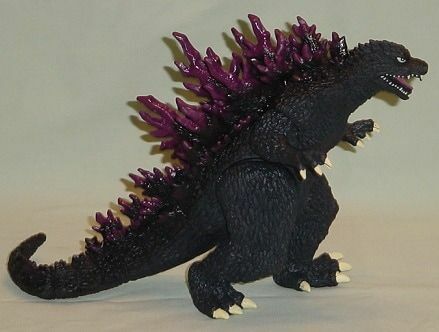 ​This wave's figures include Godzilla Millennium, Destoroyah, Godzilla 1968, & Hedorah. 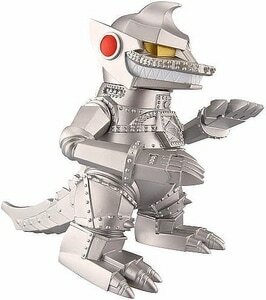 The packaging also announces Bandai Creation's first set of 12 inch sized figures, Mechagodzilla 2002 and Godzilla 2004. 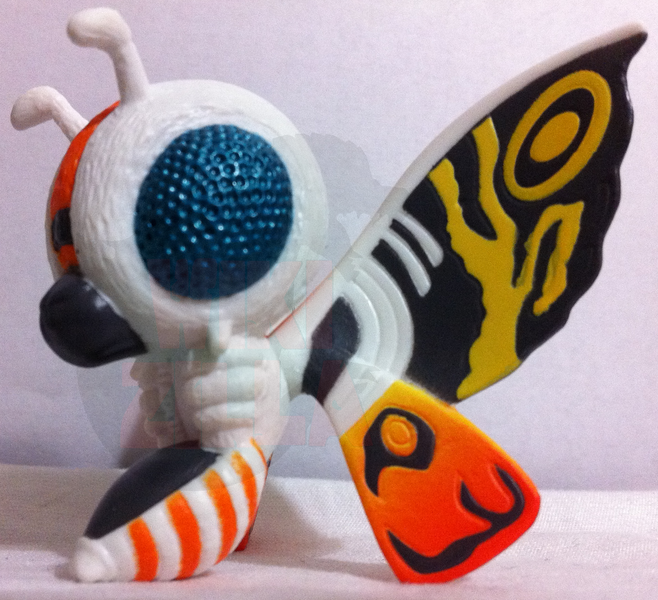 It is basically the same package but with black and white coloring. 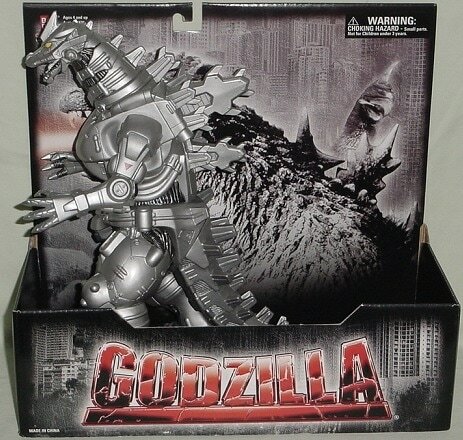 These were released in 2007. 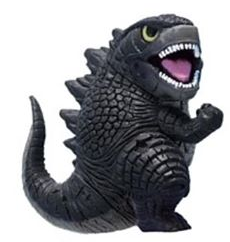 This wave introduced two new 6.5 inch figures to the line Godzilla 1954 (First Godzilla, different sculpt from previous version) and Mechagodzilla 1974 and reissues of Godzilla 2000, Godzilla 1968, Hedorah, Destoroyah, and Final Wars Anguirus. 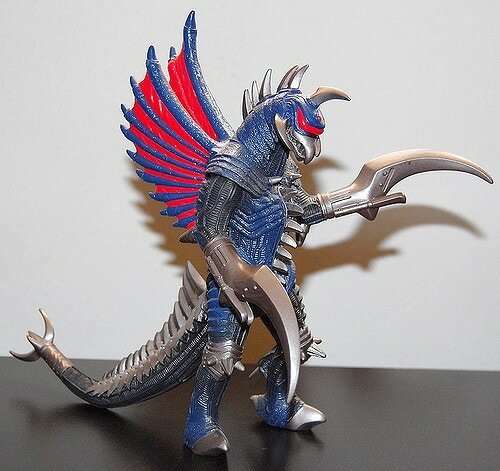 This wave adds a 12 inch Final Wars Gigan as well. 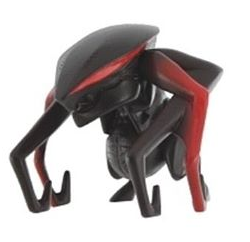 These were released in 2009. 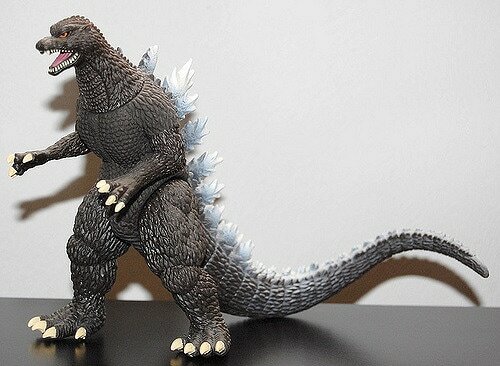 This wave featured no new figures only reissues of Godzilla 2004, Godzilla 1954, and Rainbow Mothra. 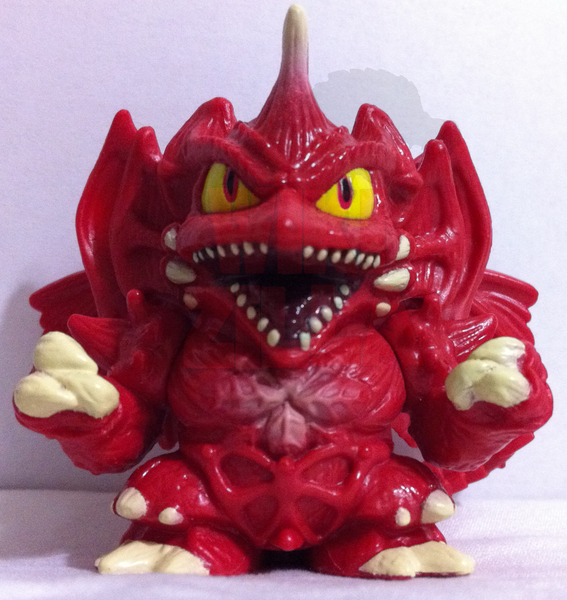 The package was updated slightly from the previous wave. 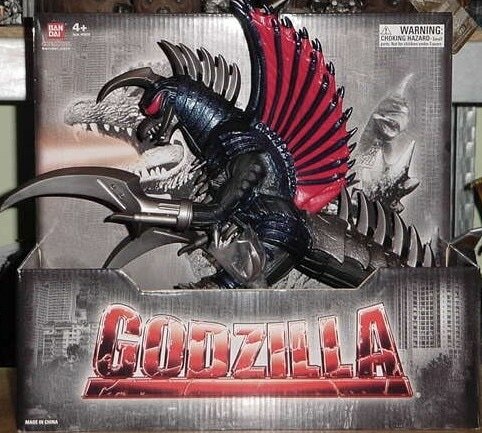 It was released in 2010. 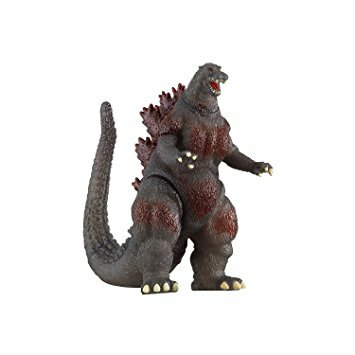 This wave also had no new figures, reissues of GMK Godzilla 2001, Final Wars Gigan, and Space Godzilla were the figures released. 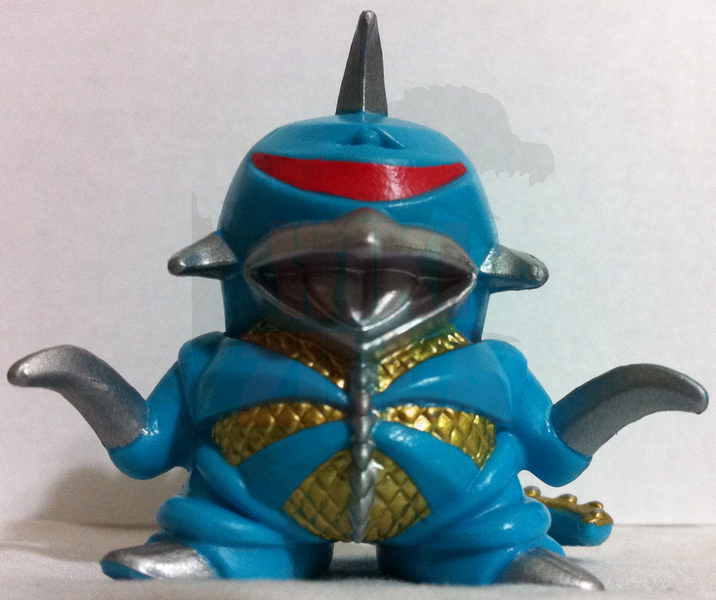 This wave was released 2011. 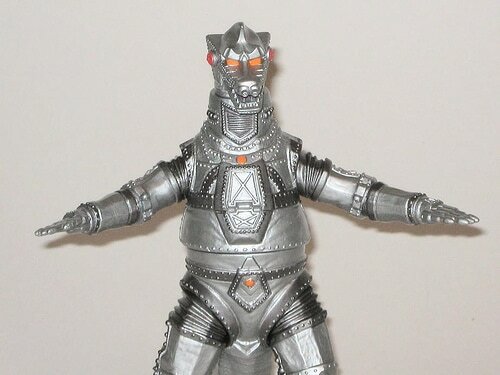 The monsters released in this wave were Godzilla 1968, Showa Gigan and the original MechaGodzilla, again all reissues. 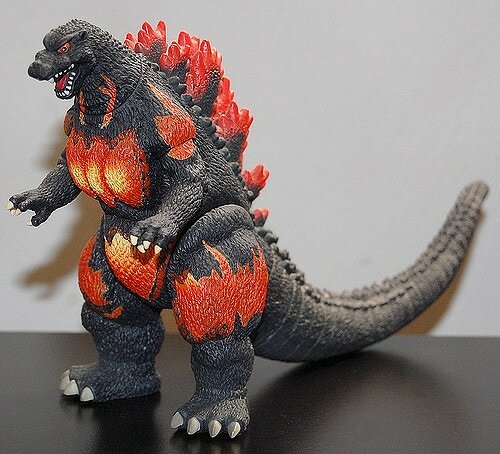 Two other line were released at the same time, 2012, Fusion Series and Tokyo Vinyl. 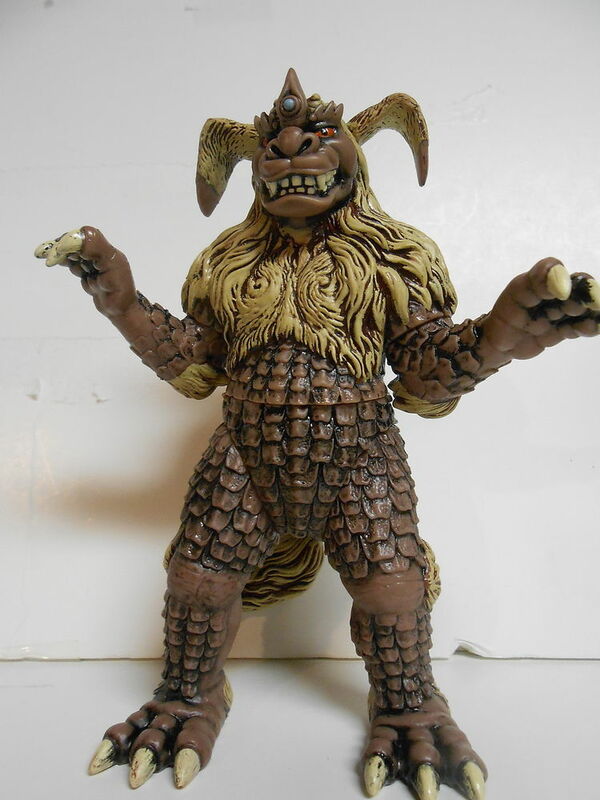 This wave was the first wave since wave five to have a new figure, King Caesar. 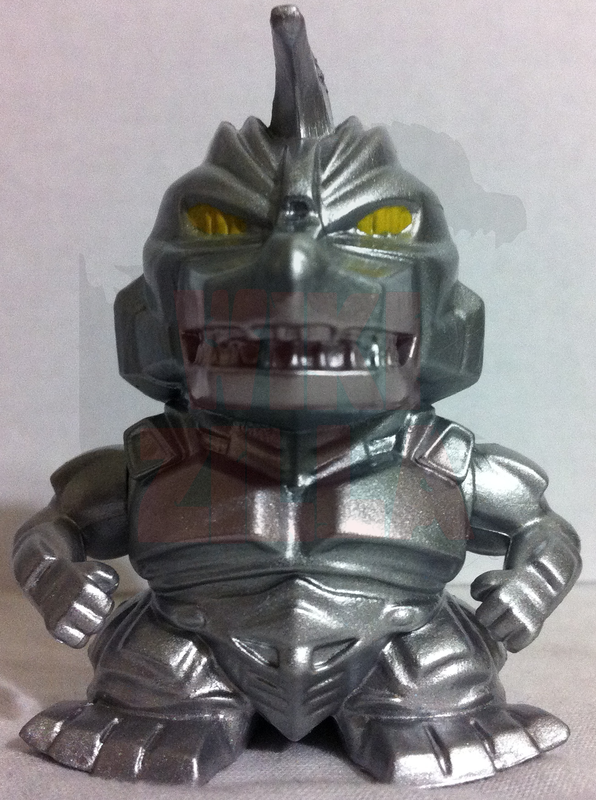 This wave includes Space Godzilla, Mechagodzilla '74, Gigan, Rainbow Mothra, Godzilla 1968, and King Caesar. 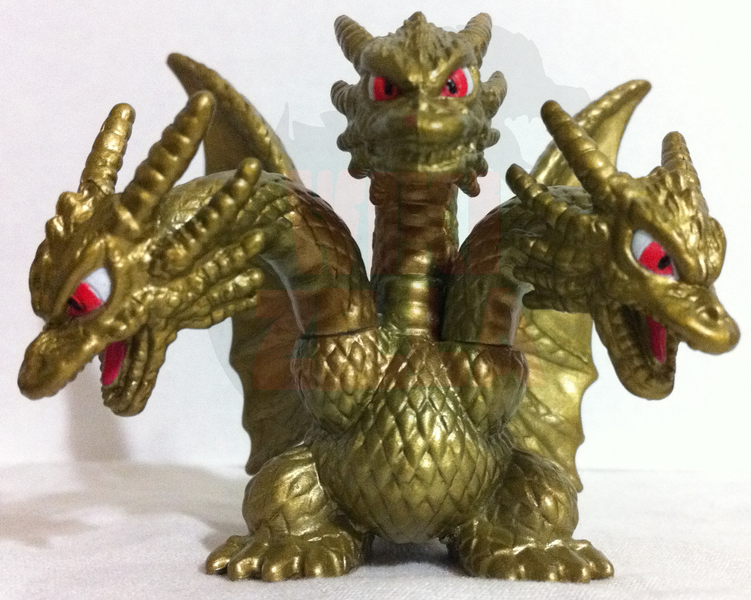 The 12 inch figures were reissued as well (not FW Gigan). 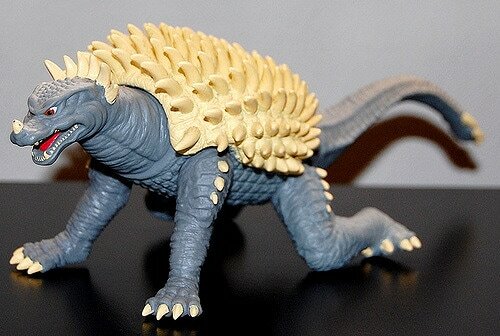 These were released 2013 along with new Chibi figures. 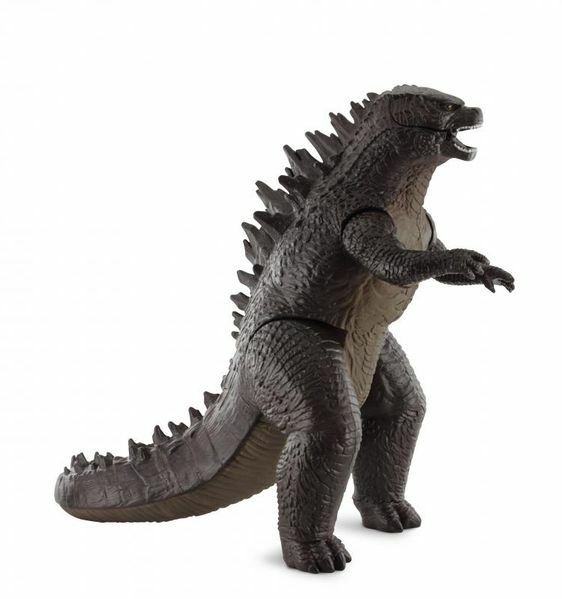 This wave released in 2014 featured reissues of Godzilla 1954, Millennium Godzilla, Showa King Caesar, as well as the 12 inch figures (again minus Gigan). 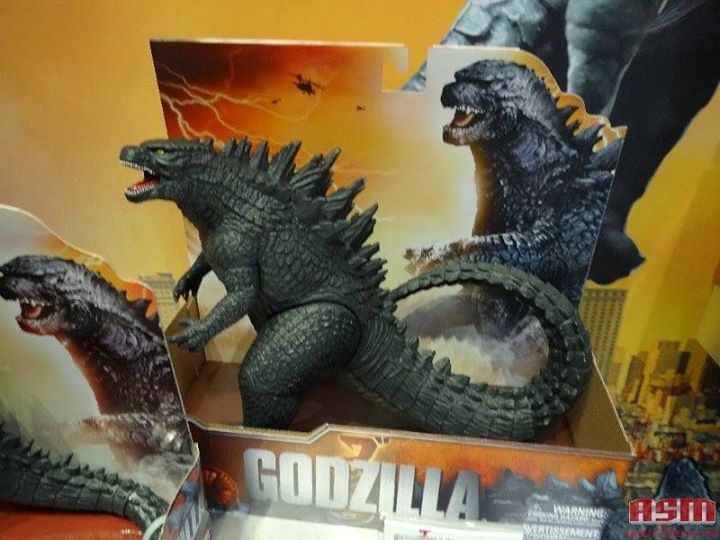 This wave got a new box design to celebrate Godzilla's 60th Anniversary. 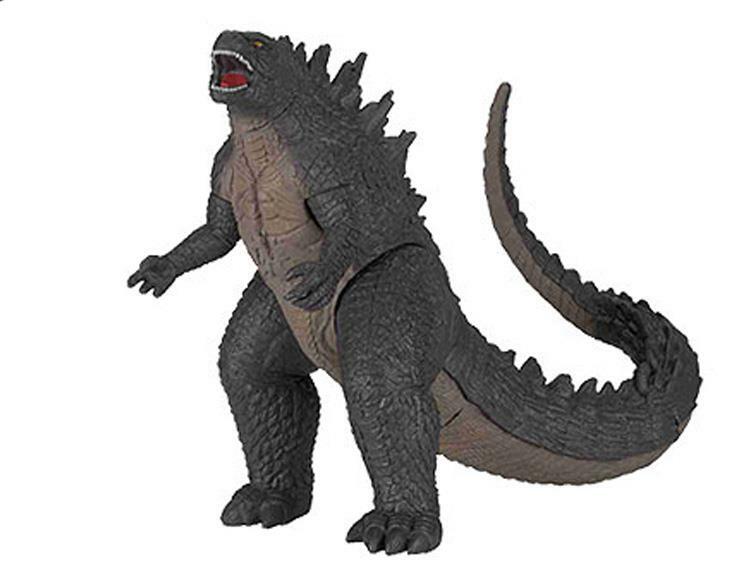 This wave released in late 2014 featured reissues of 6 inch Godzilla 1954 and King Ghidorah 2001 as well as a new 6 inch figure of Godzilla 2014. 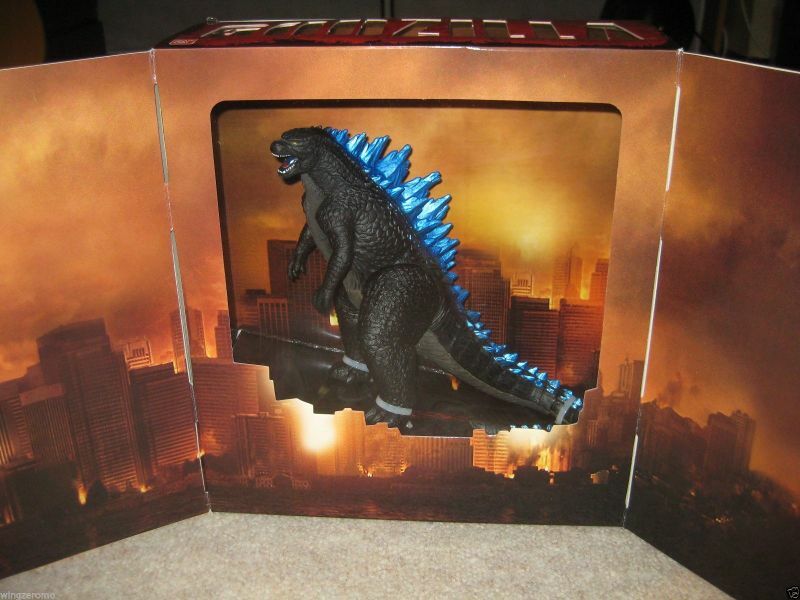 A NYCC Exclusive version of Godzilla 2014 was released and featured a different paint scheme with blue fins, and collectible packaging. 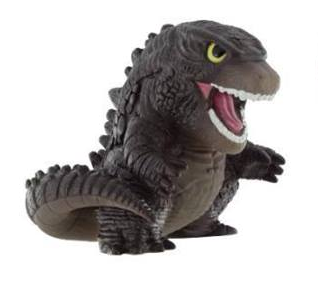 This wave released in 2015 featured reissues of 6 inch Godzilla 2014 and King Ghidorah 2001 and 12 inch Godzilla 2004. 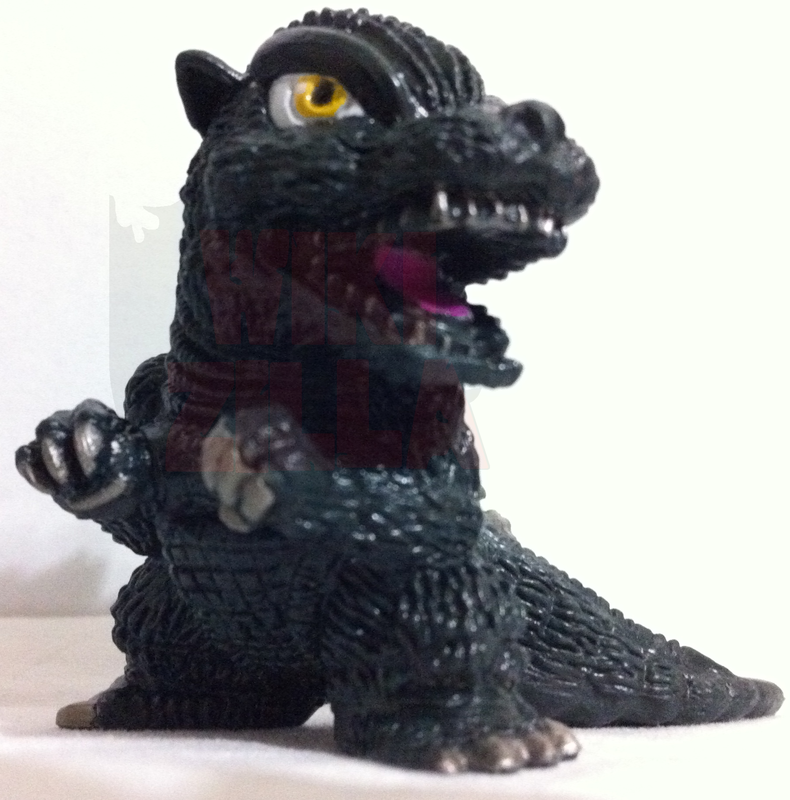 It also featured a 12 inch Godzilla 2014. 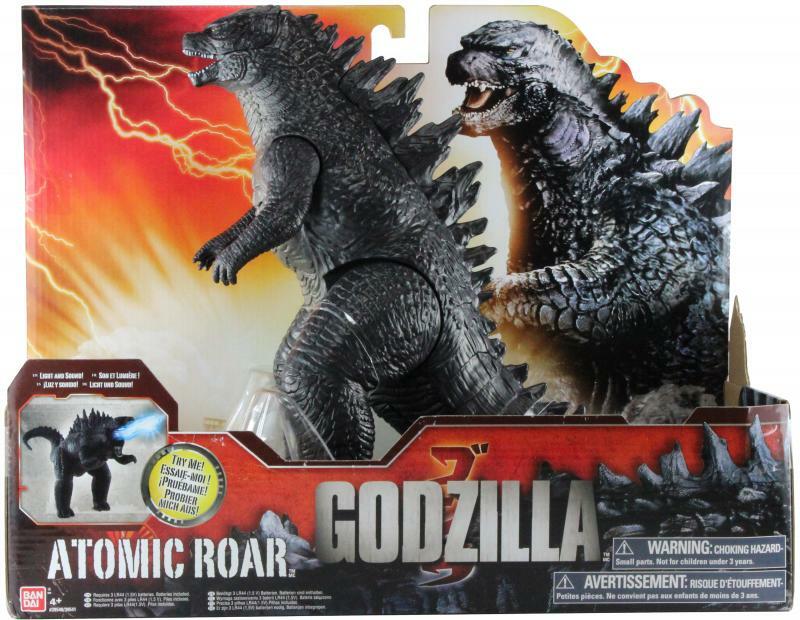 This series released in 2012 (same time as wave 8) featured Godzilla 1968, Burning Godzilla, Millennium Godzilla, Showa Gigan, Rainbow Mothra 1998 and MechaGodzilla 1974. 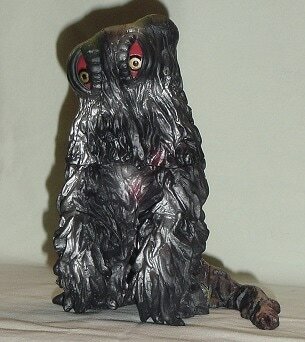 All were made translucent glittery vinyl that was softer than the regular versions. 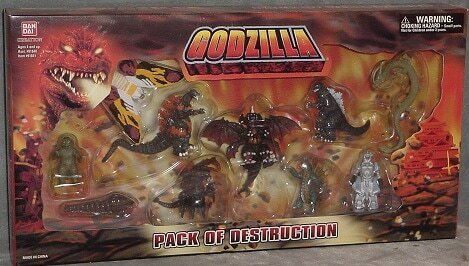 Packaging was the same except for a sticker that said Fusion Series. 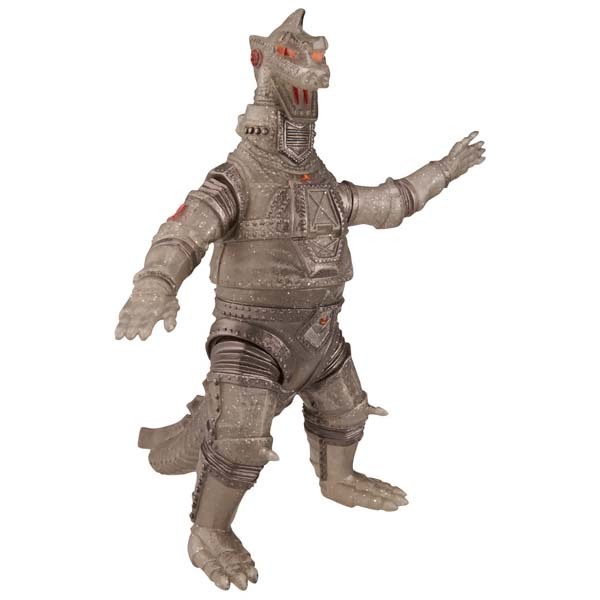 This series was released in 2012 and featured Godzilla 2004 FW and Mechagodzilla 1974. 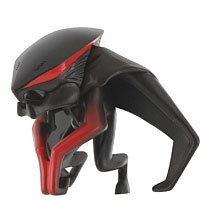 These were "deformed" style figures. 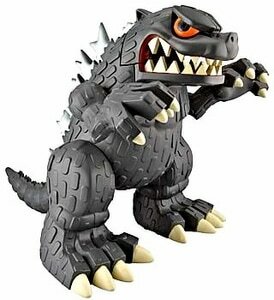 This series was released in 2013 (along with wave nine), it included Godzilla, Mothra, King Ghidorah, Gigan, the Heisei Mechagodzilla and Destoroyah. 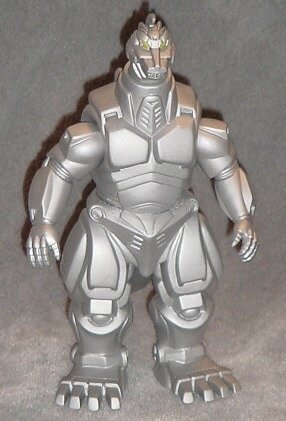 These figures were released in a 6-pack and in 2-packs. 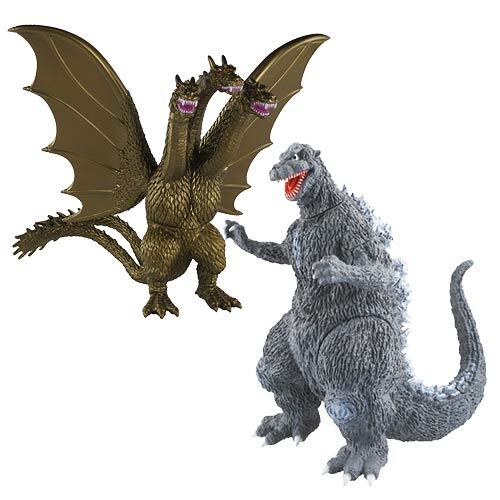 These figures were released in two 2-packs, Godzilla and Winged M.U.T.O., and Battle Damaged Godzilla and 8-Legged M.U.T.O. 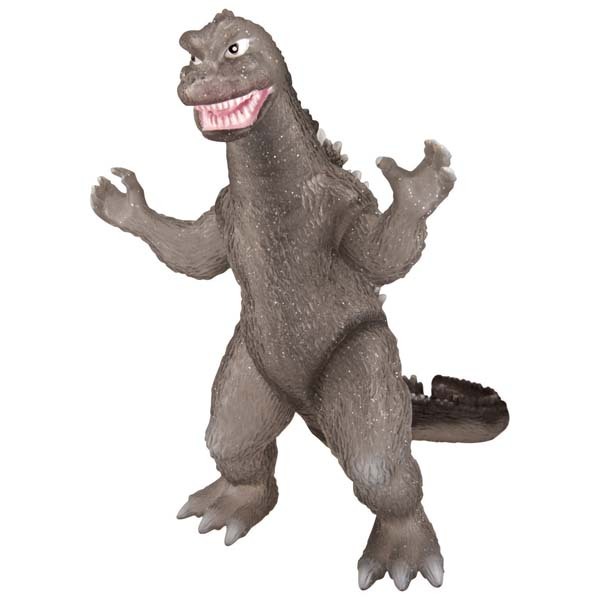 These sets featured a figure and accessories. 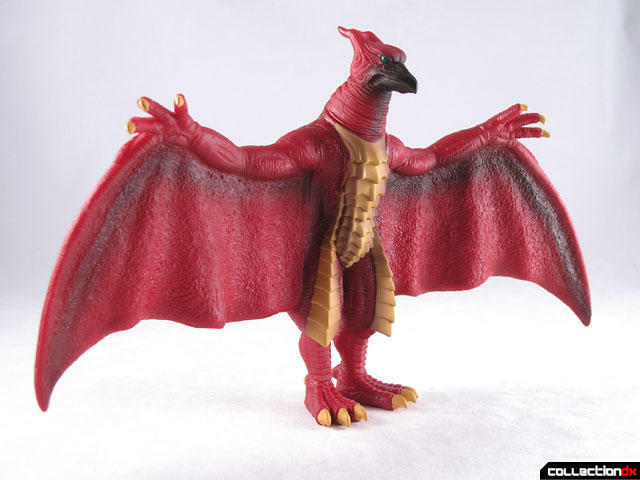 One set featured Godzilla, Destructible Building, and a Plane, the other featured Winged M.U.T.O., Destructible Building, and a Helicopter. 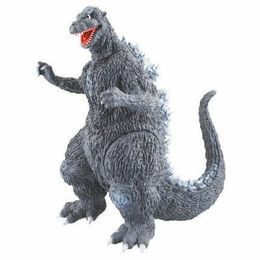 This set featured Godzilla, an Eight-Legged M.U.T.O., 2 destructible buildings as well as a bridge, and 5 military vehicles. 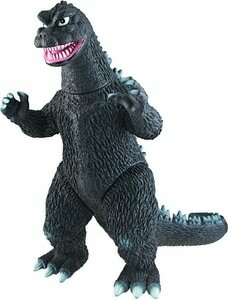 The buildings were either green and gray depending on the set. 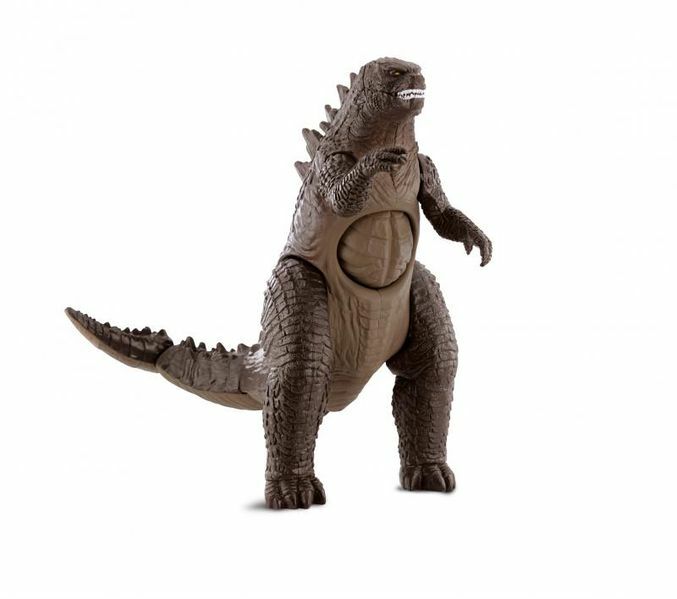 ​"With collector level detailing this large scale figure brings Godzilla to life as he blasts his powerful atomic breath and lets out his iconic trademarked roar." 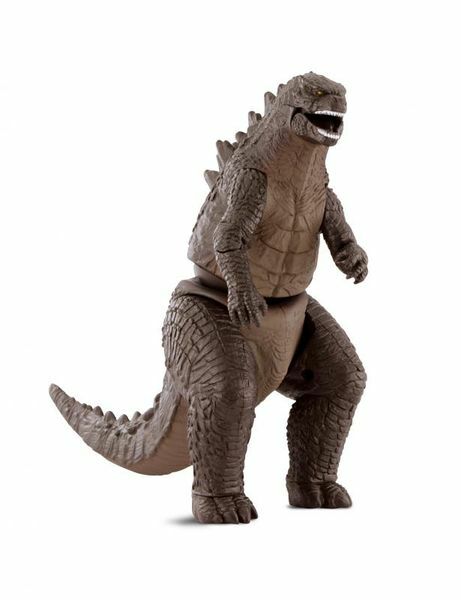 "Bring the fight home as you become Godzilla and unleash his awesome power with tail smashing excitement or M.U.T.O.-destroying upper body attacks. 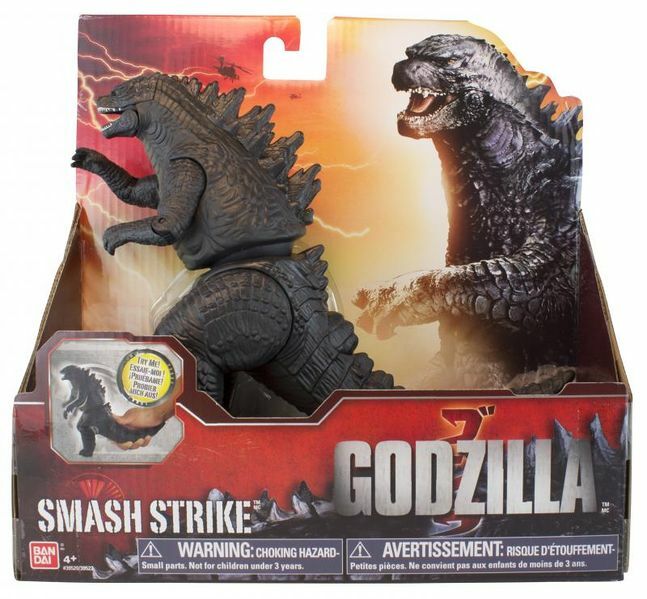 Smash Strike Godzilla’s upper body attacks are activated through an upper tail control"
"Bring the fight home as you become Godzilla and unleash his awesome power with tail smashing excitement or M.U.T.O.-destroying upper body attacks. 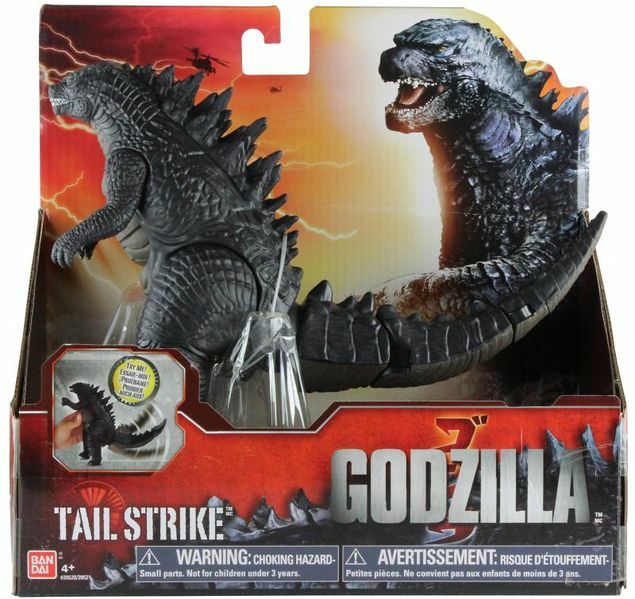 Tail Strike Godzilla features a swinging tail that is manipulated by a chest control".